It’s that time of year again and I see too many people getting sick again. We have this funny habit of calling it the ‘common cold’. Common? Yes! But far too often people have lasting symptoms for weeks and sometimes months after the cold itself! Think the tickle in your throat that won’t go away. That stubborn cough. That persistent mucus. The little bit of fatigue. It’s a royal pain in the @$$! So here’s some lovely tips to help keep this sticky little bugger away. Ginger has some impressive health benefits. First and foremost, it’s used as a digestive support in an immense number of herbal medicine formulas. And guess what, your digestive health is pivotal to having a healthy immune system! 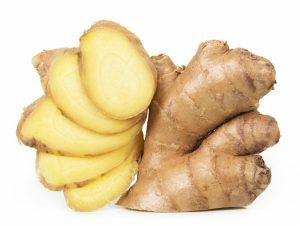 Ginger has been found to have beneficial effects in fighting various bacterial and viral infections. It is anti-inflammatory, helps in treating nausea, various types of pain, and has been found to be beneficial for cardiovascular health. Congratulations! You have a medicinal powerhouse right there in your kitchen! If you’re not aware that garlic has incredible health benefits, kindly step out from the rock you’ve been living under. Garlic (Da Suan) is incredible and can actually be found in the Chinese medicine pharmacopeia under the headline “Rockstar” (FYI: this statement is a joke). First of all, it has been used as a stand alone remedy for parasites historically in China and is still used today for this purpose. Further, it is cited in numerous research studies for this action alone (here, here, and here to name a few). Allicin, a constituent of garlic, has some rather impressive antimicrobial properties. 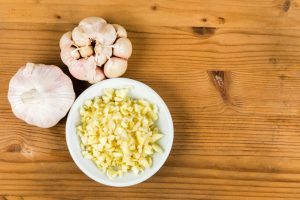 Additionally, garlic serves as an impressive digestive aid and worthy addition in the treatment of cardiovascular disease. Basically, it’s awesome. Go buy it and eat it! 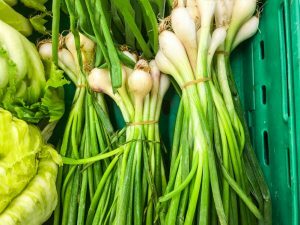 Scallions/green onions have also been used in Chinese medicine as an initial stage remedy for colds. This usually presents as chills, mild or subjective fever and mild aches and/or malaise. This herb has historically been used to help break a sweat in the initial cold stages. It’s also beneficial for treating parasites, aiding digestion, and helping with nasal congestion. The bulbs are particularly useful. But the whole plant is delicious and beneficial! You can keep these handy for almost any meal. Add all the herbs, reduce heat and simmer. 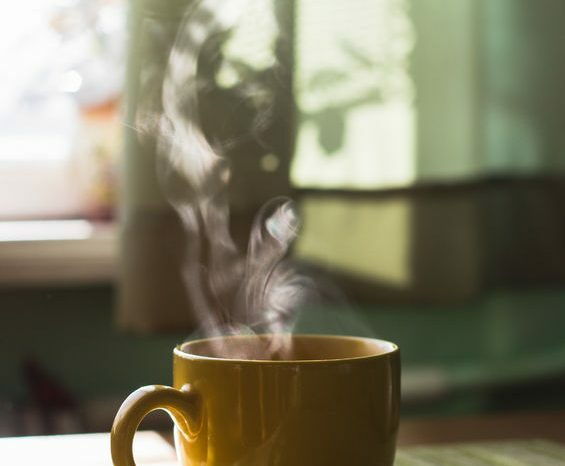 Need a little more help to get your immune system up to par? Click HERE and we’ll help you!